Each Wednesday, Jim from Fingal Head on the Far North Coast enjoys a day out with his carer Ashlea. Normally they alternate between going to the Murwillumbah markets one week and a trip to town or the movies the other. Recently, Ashlea had a special surprise in store for Jim after their market outing. My partner Jacob is one of the lead trainers for Matthew Dunn Racing, one of the most successful country race horse trainers in Australia with stables based in Murwillumbah. Jim had been wanting to take a look at the stables for a while now, but it was difficult finding the chance. We turned up at the stables and I haven’t seen Jim this excited about something in a while as it’s something completely different to what we normally get up to. We met up with my partner Jacob then took Jim around for a personal tour to see horse shoes being fitted and to give them a pat and a cuddle” said Ashlea. 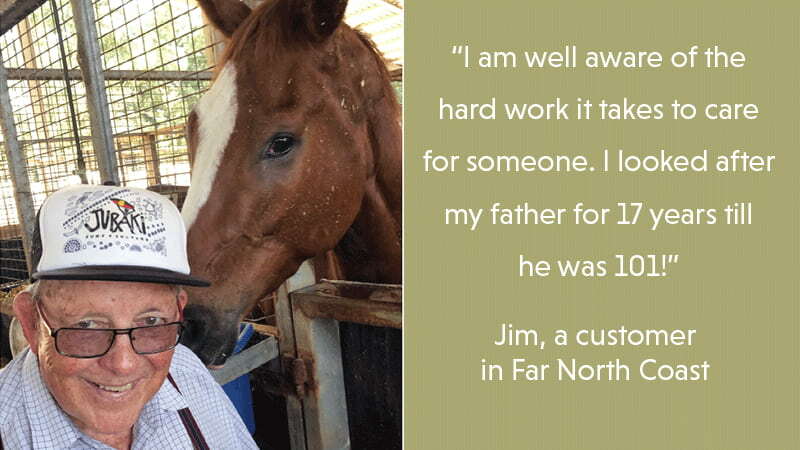 Jim is particularly special to Ashlea because he was actually her first client with Southern Cross Care. Ashlea has become very popular in the area and receives many requests for her to be their carer. It shows how great our team is that Ashlea would do anything she can to put a smile on her client’s face. Jim really looks forward to every outing with Ashlea but says that this one was a standout. It was a nice surprise and he was fascinated to meet the owner to learn first-hand about how the stables are run. Days out, plus the personal care he receives are all a part of Jim’s in-home respite care he receives from SCC. His wife Judith has been his main carer since Jim was diagnosed with Parkinson’s. The respite services give Judith a break and time to herself, while Jim a chance to enjoy outings and activities. 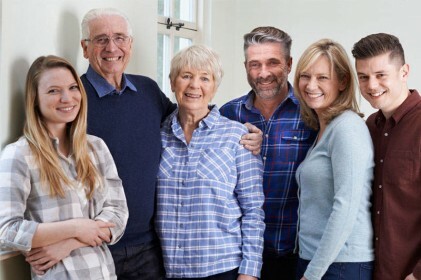 A happy marriage often requires time apart from each other too, so respite services give them the chance to do just that. Find out more about Aged Care at Home by visiting #AgedCareAtHome page or by calling 1800 632 314.